For some people, Valentine’s Day means indulging sweets and spending the night alone, while others might be first in line at the supermarket with a box full of chocolates and giant stuffed animal that says “be mine.” However, Grand Valley State University’s Sigma Phi Epsilon (SigEp) plans to celebrate the day by dropping carnations on students’ doorsteps and serenading them from a secret, or not-so-secret, admirer. The term “university fundraiser” often brings up images of social gatherings or crowded rallies. For Grand Valley State University’s Alpha Tau Omega fraternity however, fundraising is no clean-cut effort. The group is gearing up for their annual “ATO Walks Hard” event, which donates proceeds to the National Multiple Sclerosis Foundation. 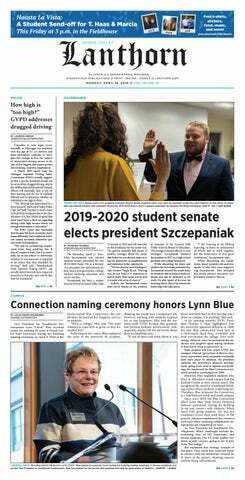 In a quest for brotherhood and community, 11 Grand Valley State University students set out on a mission this fall to form the first official Jewish fraternity on campus known as Alpha Epsilon Pi. Sororities and fraternities often face negative frames when portrayed in films and television shows as party animals or culturally unaware, but Greek life at Grand Valley State University aims to break that stereotype. While midterms consume the schedules of students across campus, personal care often becomes less important. Students who cannot find time to check back into reality and prioritize relaxation, often find stress building up along with a multitude of health concerns to navigate.